Ladies! Leave the kids and the fellas behind, and come to Glazydayz for an evening of girlie chat and chillaxation! Paint something for yourself, or as a gift; enjoy the girlie company and chat; give yourself a night off - you know you deserve it! 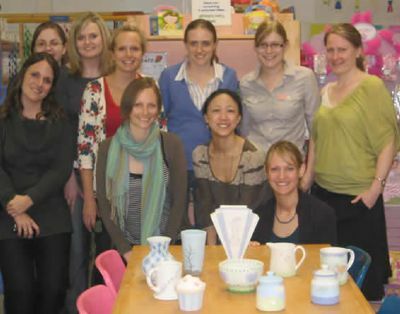 You can paint whatever pottery you like, and prices start from just £4.00 fully-inclusive. * If you bring five friends with you, you can choose pottery to paint yourself for free, up to 20% of the value of the total spent by your friends.